First edition. 4to. 16 pp; b/w photographs. Stapled wraps. VG- cover slightly soiled, contents are fine. 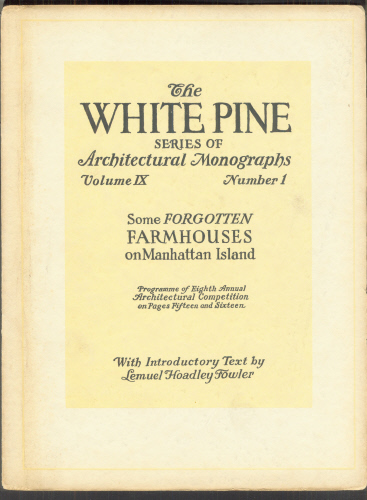 Volume 9 number 1 of the bi-monthly publication suggesting the architectural use of white pine and its availability to-day as a structural wood. Introductory text by Lemuel Hoadley Fowler.